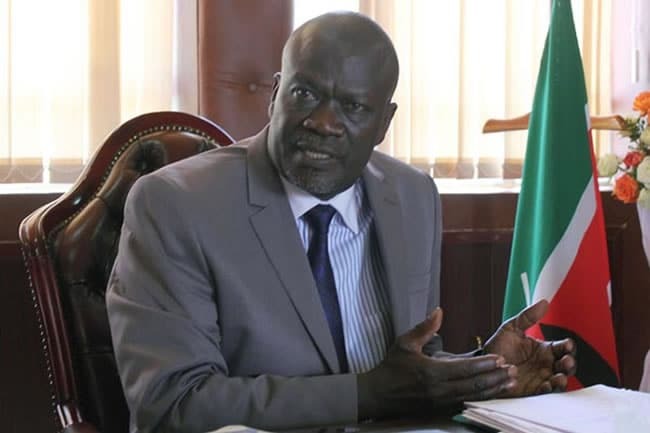 Siaya Governor Cornel Rasanga is part of the entourage accompanying Barrack Obama on his trip to Kogelo for the inauguration of the Sauti Kuu Foundation. But while attending the launch, Rasanga declined to go through a mandatory security screening measure. “I am the governor of this county, I will not be searched,” Rasanga said. Critics say that the county boss’ behaviour is a reflection of Kenyan leaders who are “drunk” with power and are an entitled lot. Exactly what ails Kenya. Pathetic! Governor Nyong'o allowed himself to be screened. So who is Governor Rasanga not to be screened. He should be humble. Barrack Obama is on his way to the youth and sports centre which is located 800 metres from his home. Already on location is Masai Ujiri, a Nigerian professional basketball executive, currently serving as the president of the Toronto Raptors in the NBA.